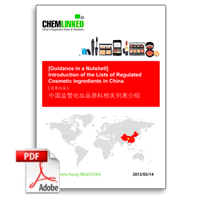 China’s current cosmetic regulatory system is founded on the overarching “Regulations concerning the Hygiene Supervision over Cosmetics (1989)”, supported by a series of subsidiary rules, standards and guidance documents issued by the former regulator, the Ministry of Health (MOH) and the current competent authority, China Food and Drug Administration (CFDA). 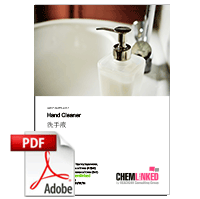 Cosmetic products in China are divided into two categories: non-special use cosmetics (non-SUC) and special use cosmetics (SUC). Non-SUC refer to skin care products; hair care products; nail (toe) care products; make-up and fragrance while SUC refer to whitening products, hair growth products hair dyes, hair perming products, depilating products, breast beauty products, slimming products, deodorants, freckle-removing products and sunscreens. 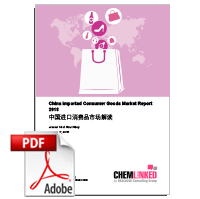 Before being used, marketed or imported into China, all cosmetic products must get approval from the CFDA or provincial FDAs, but the requirements for getting approval differ not only between the categories but also between imports and domestics. 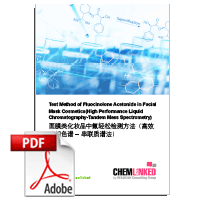 Cosmetic manufacturers of non-SUC in China shall notify the provincial FDA through an online platform of the product formula and sales packaging prior to placing their products in the market and are subject to subsequent examination for the rest documents by officials. For Imported non-SUC, overseas cosmetic companies are required to file a record with the CFDA and submit documents necessary for the filing. Only after getting a filing certificate are the companies permitted to market their products. 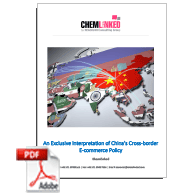 Compared with the non-SUC, SUC meet far stricter requirements for marketing, both domestic and overseas cosmetic companies are required to register with the CFDA and submit relevant documents. The registration for SUC is also more costly and time-consuming. Without administrative licenses SUC are prohibited to place in the market. In the procedures of filing or registration, a lot of documents need to submit for cosmetic companies, among which include testing reports and label information. 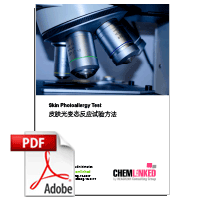 Generally, testing items are divided into microbiological, hygienic chemical, toxicological testing and human safety items. 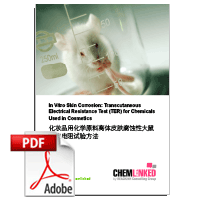 Animal testing, one of the toxicological testing, is needed for domestic SUC, imported non-SUC and imported SUC but domestic non-SUC can be exempted from it if they can be proved to be safe by safety assessment. Furthermore, Cosmetics labels are subject to review by CFDA expert panel during registration and also checked by CIQs when products arrive at port. 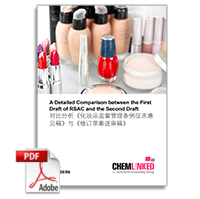 China divides cosmetic ingredients into new cosmetic ingredient and existing cosmetic ingredient. 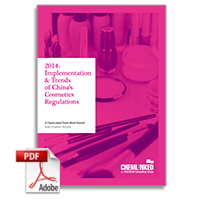 Ingredients excluded from the IECIC are new cosmetic ingredients, which need approval by CFDA prior to use in cosmetic products. 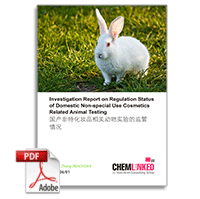 The registration procedure of new cosmetic ingredients is similar to that of special-use cosmetics. Cosmetic company who wants to utilize a new approved ingredient is subject to separate registration. 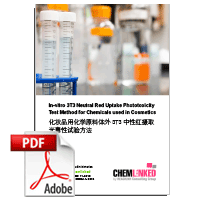 After getting a “new cosmetic ingredient trial use certificate”, the company can use the ingredient for 4 years. 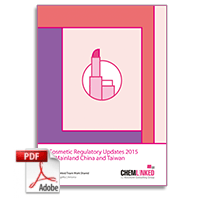 If no adverse events are observed during the 4 years, the ingredient will be listed into IECIC allowing all cosmetics companies to freely utilize the substance. 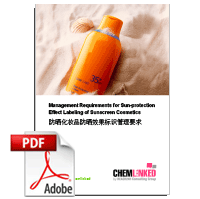 This standard specifies the management requirements of sun-protection effect labeling for sunscreen cosmetics. 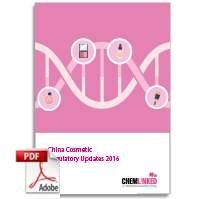 The report detailed introduces and interprets Chinese major cosmetic regulatory updates in 2016.